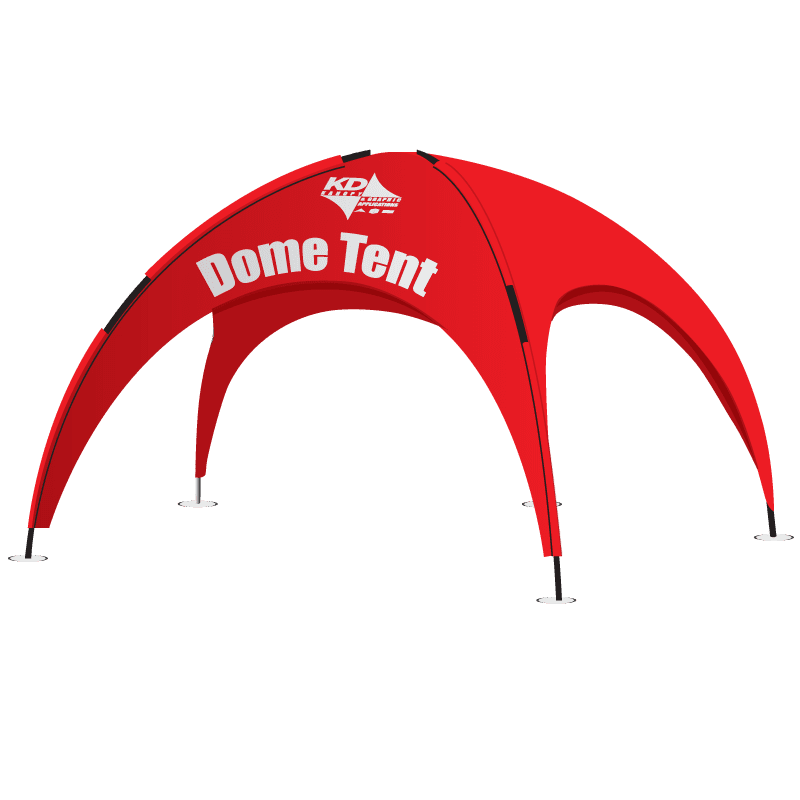 With 5 elegant arches and graceful curves, the KD Dome Tent will add class and elegance to your location at any venue. 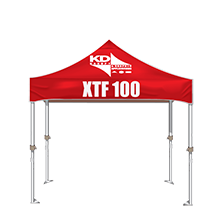 The freestanding KD Dome Tent is ideal for temporary outdoor events or festivals. 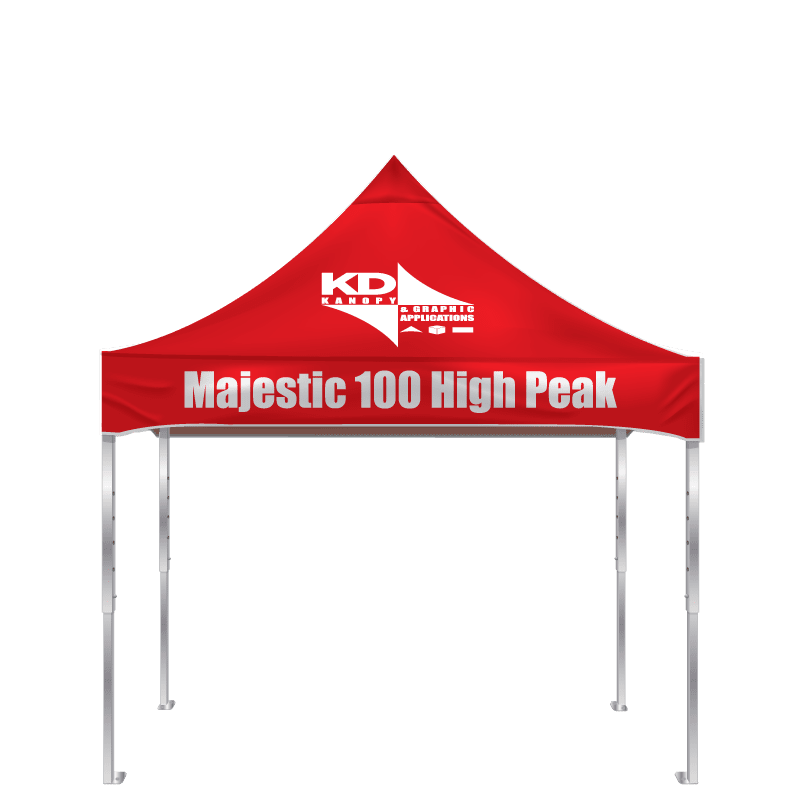 Create a traveling brand environment with customized graphics and company logos using full-coverage dye-sublimated printing. 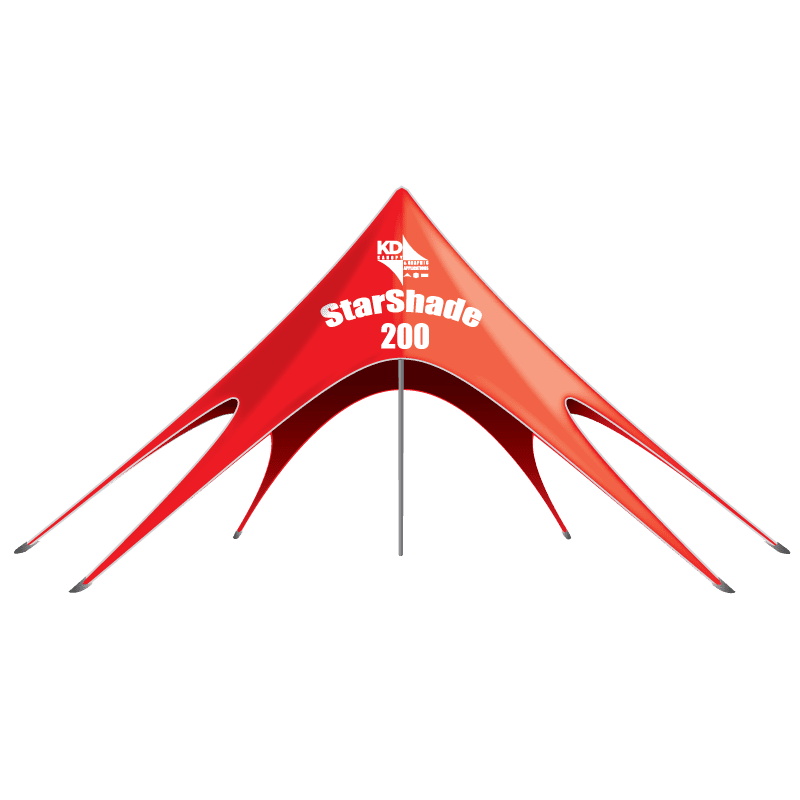 These unique domes are sure to set your company apart from the rest of the look-alike canopies. 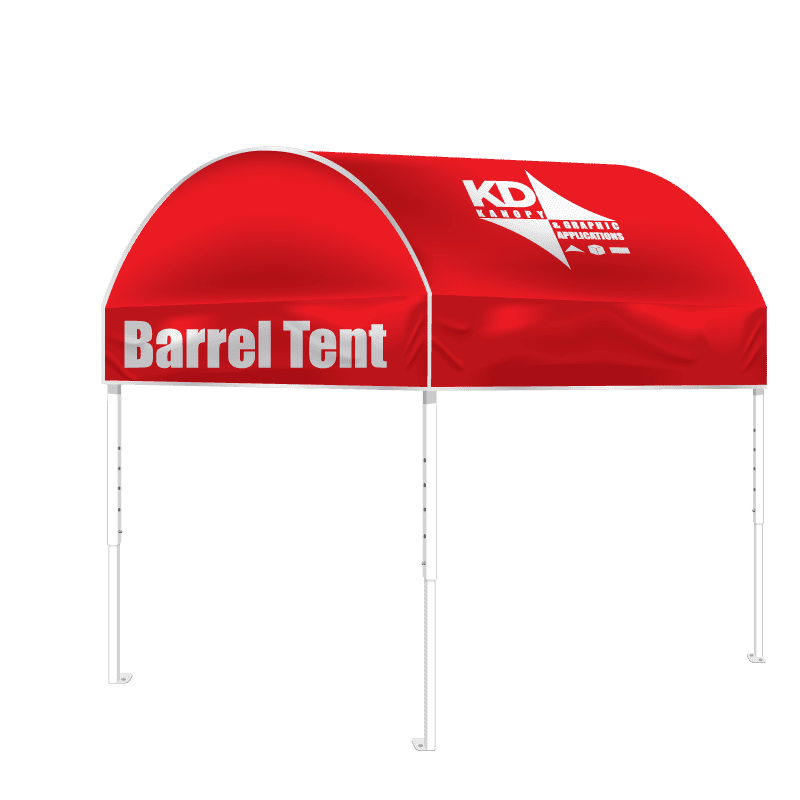 The new KD Dome Tent will help you make a lasting impression on the event attendees and mark you as trendsetter. Dye Sublimation: Full color transfer on a 600 denier polyester material that is PU coated and CPAI-84 fire certified. This process is ideal for indoor shows and the material is washable.